RIGSS is pleased to announce the names of the shortlisted candidates for the 4th Foundational Leadership Program (FLP-4) as given below. All shortlisted candidates will have to give an Online Psychometric Test as a part of the final selection process. You will receive an email from Dr. Adrian Chan shortly with all necessary instructions on the test and deadline. Any candidate who does not complete the test within the specified date will be disqualified from selection for the course. Shortlisted candidates will also receive an email from the institute with information/instructions on the Skype interview and other requirements. 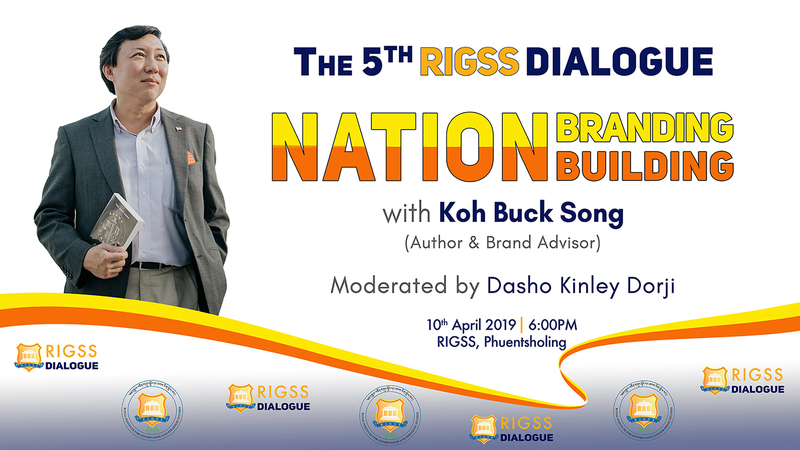 The Royal Institute for Governance and Strategic Studies in Phuentsholing announces that the 5th RIGSS Dialogue will be held at the institute in Phuentsholing on 10th April 2019 starting 6.00 PM. Mr. Koh Buck Song is a Singaporean writer and brand advisor who has been closely involved in nation branding of Singapore for over three decades. He has advised the Singapore government on various aspects of nation building, including profiling the overall quality of life and policies on media, arts and culture. He is the author and editor of more than 30 books. 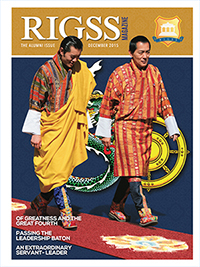 The Royal Institute for Governance and Strategic Studies in Phuentsholing is pleased to announce that the fourth Foundational Leadership Program will be held from 5th May to 1st June 2019. The 4-week course comprises three weeks of leadership training at the institute and a week-long Grassroots Immersion Program in a selected rural community. Aspiring and eligible applicants from the civil service, autonomous agencies, CSOs and private companies; and nominated candidates from corporations, state-owned enterprises and the armed forces are invited to apply through the institute’s Online Application System. The online application system will be open from 11.00 AM on 23rd March 2019 and will close at 5.00 PM on 3rd April 2019. Applications through other means will not be accepted. For detailed information on the eligibility, application and selection process, please Click Here . For any further clearifications, you may call the Course Coordinator, Mr. Hasta Bahadur Rai at 17604538. This "Course Portal" is for course participants to access the course materials.